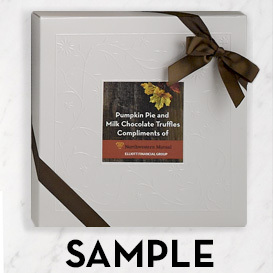 Two layers (32 pieces) of our best-selling Deluxe Collection chocolates topped with a Custom Label lid featuring your logo or graphic. 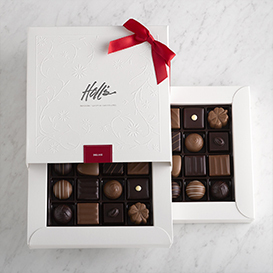 The two layer box is our most popular size for holiday gifting. Two pieces of each of our 16 most popular flavors ensures that everyone gets their favorite.